We want to officially recognize & thank the Wildwood Team for all they do to make WWLD a great place to work. 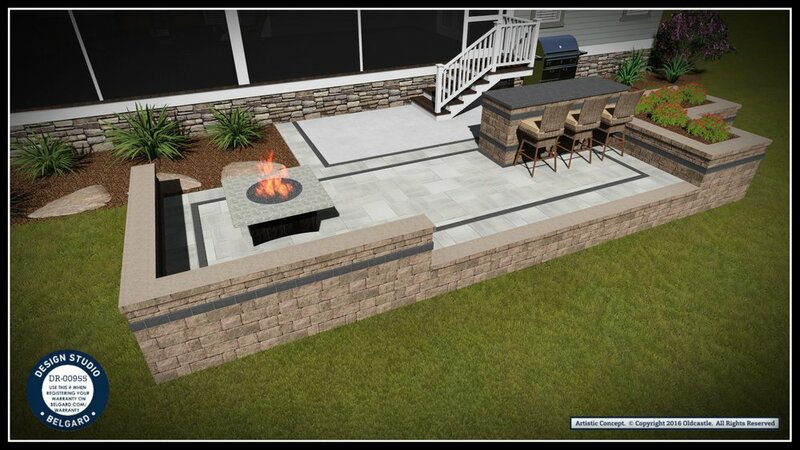 Hard at work - bringing outdoor living to life! Grant Smith is in the spotlight this month! 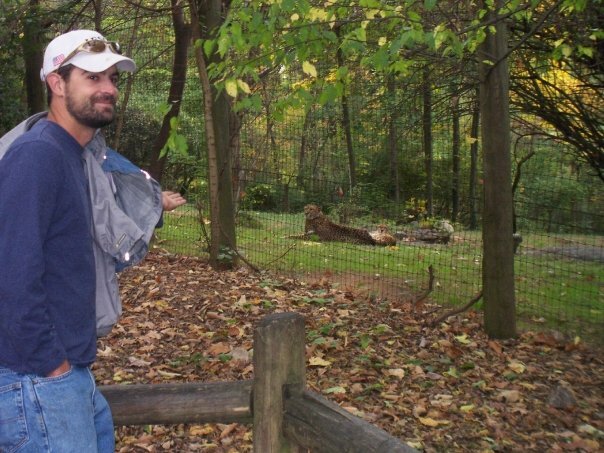 He is our lead Landscape Designer and salesperson at Wildwood. His creativity, big picture thinking, ambition, ability to multi-task and kindheartedness are a few of the amazing attributes that he brings to the Wildwood team. Grant is a skilled Landscape Designer. He thoroughly enjoys his work and it shines through to the end of each project. His strengths include listening and attentiveness to each customer, technical construction knowledge, understanding of design, and most important his drive to learn and become better each day. We are regularly impressed with his willingness to dive in and take things to the next level. Grant & his future bride. Congrats Guys! Lead Designer - Original hire Date: Jan. 2012 (on the crew) Lead Designer hire date Jan 2014. "I am driven to design jaw dropping landscapes, and to make sure they turn out as awesome as I imagined." How do you want to be remembered? "...hardworking, loyal, and an honest person." Where can we find you when you aren't at work? "Fishing"
"Traveling and adventure keep my life interesting." "designing, sales, planning and problem solving." The future belongs to those who believe in the beauty of their dreams. 2016 has been an exciting year for Wildwood! In the past year, we’ve seen rapid growth. We have worked with a variety of new clients, broke ground with several new employees, and have a fun surprise in the works. Thanks to everyone who contributed to a successful 2016! Take a look at a small collection of this years work below. We appreciate the hard work our employees do every day, we want to officially recognize & thank them for everything they do to make Wildwood Land Design a great place to work. Fernando Garcia is in the spotlight this month! His sense of humor, reliability and consistent hard work are just a few of the traits that make him an asset to have on the team. We appreciate the effort and energy he brings to a job site. What would be impossible for you to give up? "Ha Ha Ha, that's a good question!" How do you want to be remembered? "..as a good hard worker, team player & good person." Where can we find you when you aren't at work? "with my kids and girlfriend." "I grew up in Mexico, moved here to be close to family and Wildwood has been my only employer in the states. 7.5 years now!" 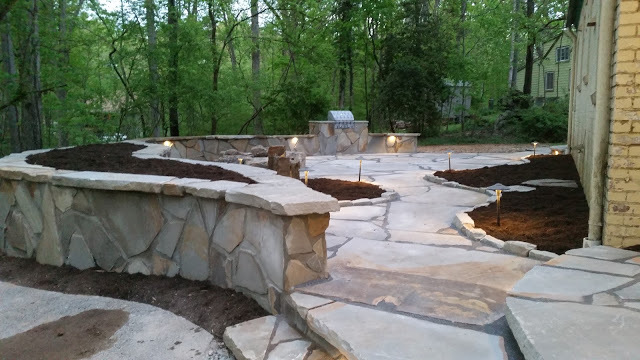 Fernando is a talented landscape installer, we especially appreciate his irrigation knowledge and planting skills. We love that he rarely complains and his prankster attitude makes work fun! Thanks Fernando. We appreciate the back breaking work our employees do every day, we want to officially recognize & thank them for all that they do to make Wildwood Land Design a great place to work. Matt Lieb is in the spotlight this month! His talent, experience, and reliability are the kind of desirable traits that we want to celebrate. He is currently on leave to recovery from back surgery. GET WELL SOON MATT! We are impressed by his knack to lead the landscape team and his friendly manner. "I love animals and being outdoors." During your time at Wildwood, what are you most proud? "I have a green thumb and a good understanding of pruning plants to keep them healthy and looking their best." Where can we find you when you aren't at work? "Playing with my dog, fishing, or paddle boarding." Now is the time to prepare your yard for the next growing season. Cooling temperatures slow aboveground growth, and moister soil encourages strong root development. Removing spent stems, dead branches, and heavy leaf cover protects plants' overall health. Cutting back on fertilizer in late summer prevents perennials from wasting energy on leaf production. But grass roots keep growing until the ground gets down to around 40 degrees, now is a good time to feed them. Disease has a harder time with shorter grass and the fallen leaves blow more easily across the lawn because they have nothing to latch on to. To make fallen leaves easier to transport, rake them onto a plastic tarp. You could add them to your compost. Flip the leaf pile every week with a garden fork to aerate; the "black gold" that results next year can nourish lawns, flower beds, and shrub borders. In many parts of the country, planting shrubs in early fall gives the plants a head start at establishing roots in the season's cool, moist soil. The basics: Dig a hole (twice the diameter and to a depth of 2 inches less than the full height of the root ball); position the shrub in the hole (make sure the top of the root ball remains at, not below, ground level); fill in with soil; water to settle soil; add more soil to top of root ball (don't pack soil down with foot); mulch. Lifeless branches can succumb to winter snow and winds, endangering you and your home. "For big jobs, call in the pros," says Roger. But you can protect small ornamental trees from further damage by cutting cracked, loose, and diseased limbs close to (but not flush with) the trunk; leave the wounds exposed to heal. A little work now results in healthier spring beds: Remove annuals, as well as the snails and slugs that feed on them, which breed in fall. Trim perennial foliage down to the ground; this sends energy to the roots, for next season. Every three years, divide crowded tuberous plants, like irises and daylilies: More space means more flowers. Give new beds a layer of mulch—chopped leaves, weed-free straw, or wood chips—after a light frost, but before the ground freezes. Till decomposed layers of organic mulch into the soil, then apply a fresh 2- to 4-inch layer (more will smother roots) to keep new plantings warm and to control water runoff and soil erosion. Standing water can freeze and crack irrigation tubing. For simple systems, shut the water off, unscrews the tap-joint adapter, and, use a high-volume, low-pressure setting on his compressor, inserts an air hose where the system normally attaches to the tap. We appreciate the hard work our employees do every day, we want to officially recognize & thank them for all they do to make Wildwood Land Design a great place to work. Brian King is in the spotlight this month! His diligence, positive attitude, perseverance and commitment are remarkable traits that we want to celebrate. 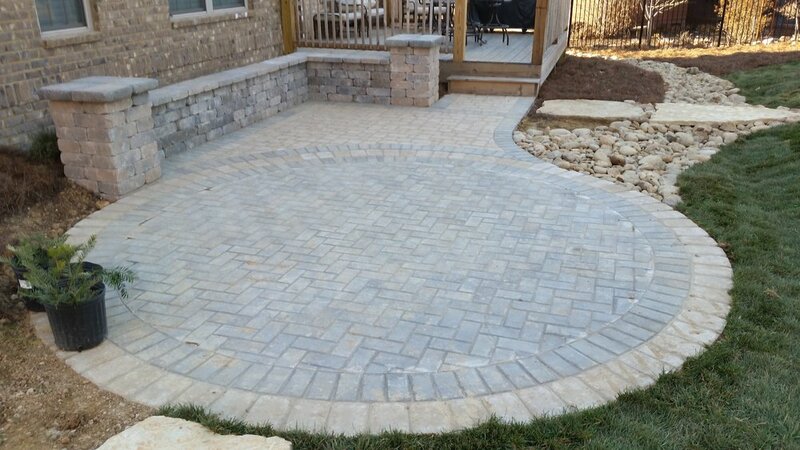 We are impressed by his willingness to lead the hardscape team while looking under every "rock" for opportunities to make sure the customer is happy. "When I am at a clients house I have 3 things on my mind. Making sure they are (1) involved, (2)understand, and (3) LOVE their new outdoor living space!" How do you want to be remembered? "As a great teacher/leader. As a good man." Where can we find you when you aren't at work? "On the lake, in the woods, or at home with my lady." "It would be impossible for me to give up hunting and fishing b/c I have been doing it all of my life." 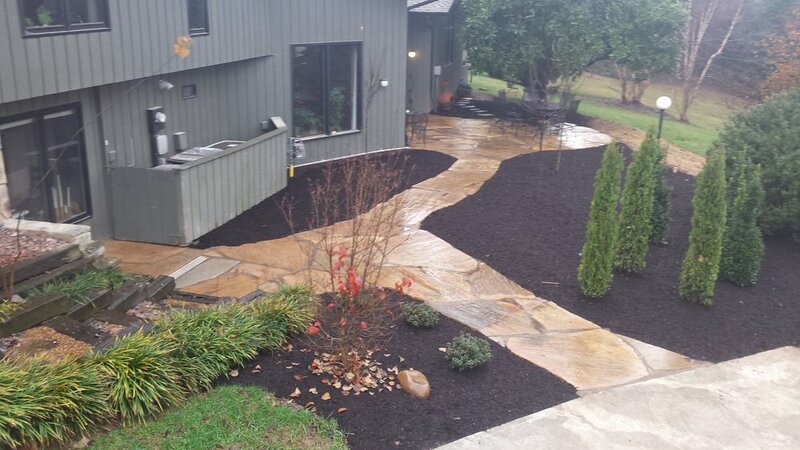 "I have a knack for measurements, a lot of knowledge of hardscapes, and am skilled at grading / drainage problems." While being in the stadium to watch the game is exciting, you might prefer to watch it on TV. 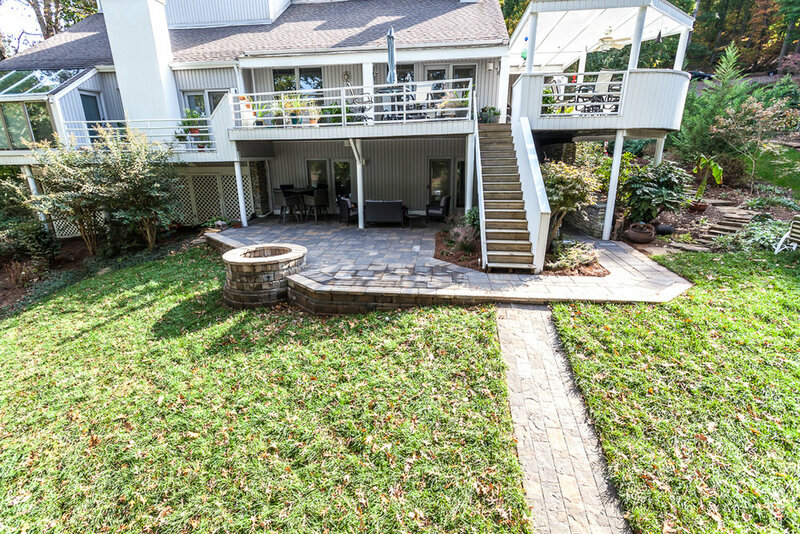 We are lucky enough to live in a mild climate where the television can be outside and you can enjoy football season while lounging in your luxury landscape. 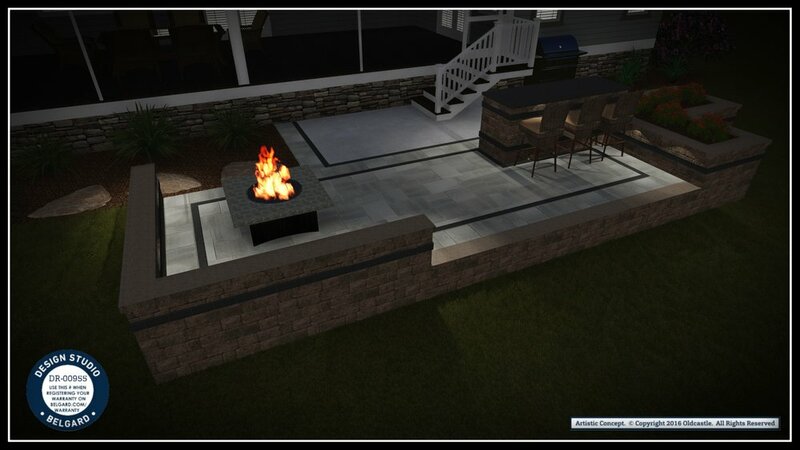 So let's take a look at some outdoor spaces perfect for watching and relaxing during all of the upcoming games. Go Vols! Relax outdoors in the cool fall weather. This lawn living room is simple, clean and modern. Great for small spaces and budgets. Are you longing for a space to retreat to during halftime? Wildwood can work with you from start to finish. The creative design team at Wildwood can work with your ideas and budget to help incorporate a TV, kitchen and comfortable seating. If you can dream it - we can build it. 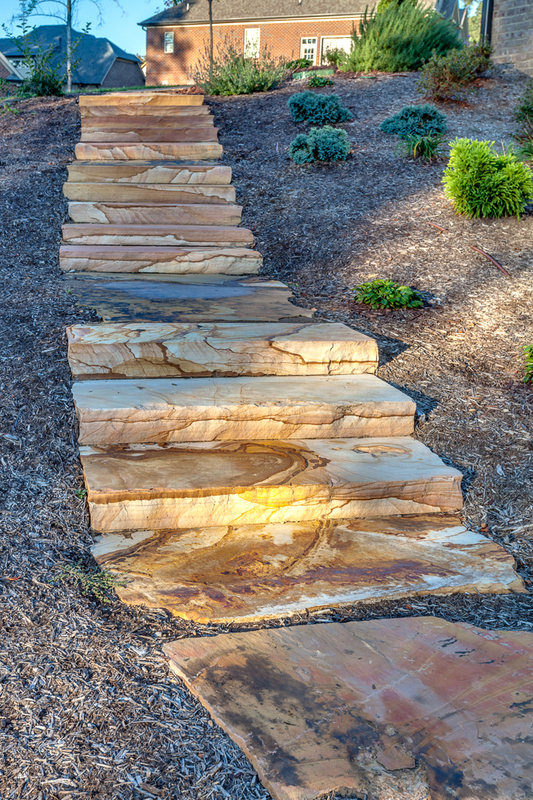 Make a natural stone walkway to escape the chaos of a tight game (like overtime against Appalachian State). Employee Highlight of the Month: Meet James! 1. What is the one problem you are best at solving? "Turning bad attitudes into good attitudes"
2. What are you most passionate about professionally? "I like seeing a project through from start to finish, see it come together and knowing that I had a hand in it!" 3. When you are not working, where can we find you? "Rock climbing or backpacking"
4. How long have you been in the landscape industry? "About 10 years"
5. Any volunteer activities that you are crazy about? "Jail ministry"
6. What would be impossible for you to give up? "My wife and kids"
7. How do you want to be remembered? "As someone who always did the right thing." Come join the fun & talented team at Wildwood. Hourly pay and monthly bonuses. Paid Holidays. Paid Overtime! Apply at 205 Fox Rd Knoxville, TN 37922 between 9 - 2. Keeping Tennessee's water clean, one yard at a time! 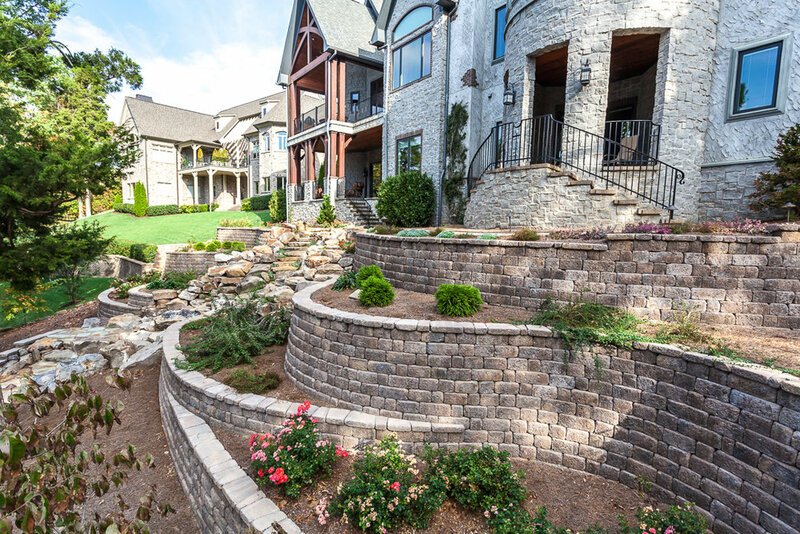 Smart Yard — a yard that is in harmony with Tennessee's native flora, soil and topography. Tennessee Smart Yards (formerly Tennessee Yards & Neighborhoods) is a University of Tennessee-led program that guides and assists Tennessee residents and neighborhood associations on practices they can apply in their yards and common spaces to create healthier living spaces and communities. Nine fundamental principles of sustainability serve as the cornerstone for the program and are being incorporated into an ever-broadening selection of popular and practical workshops taught by UT Extension and water resource professionals. 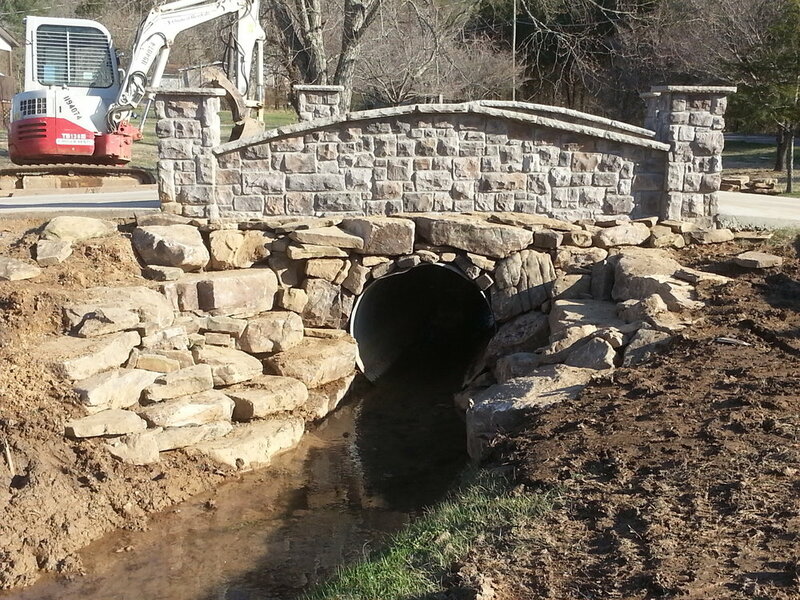 Our courses aim to help homeowners achieve a landscape that reflects their values, desires and needs, while ensuring the protection of our state's waterways. Read more to learn why a "Smart Yard" is right for you and our environment. Click below to view our Native Plant database! We are pleased to announce the launch of the newly redesigned website. Wildwood is happy to contribute to the Dogwood Arts Festival and Rhythm n' Blooms again in 2016. Celebrate Knoxville's art, culture & natural beauty. April 1, 2016 – March 10, 2017 : A world-class exhibition of large-scale outdoor sculptures enlivens downtown Knoxville, the McGhee Tyson Airport, and Oak Ridge. April 1-29 Progressive emerging and professional regional artists exhibit their work in a variety of genres. April 6: Celebrating the artistic endeavors of Knox County school-aged students having diverse abilities. April 7-22: Knoxville’s next generation of artists is on display, featuring the work of gifted art students from area schools. April 7-22: In its second year, this is an exhibit promoting the work of East Tennessee’s finest K-12 art teachers and current art interns/student teachers from public schools, private schools and academies. April 8-10: Set against the historic backdrop of Knoxville’s Old City, this three-day festival spotlights performances from the most exciting emerging acts in American roots music – encompassing blues, country, jazz, rock, indie, and everything in between. Pass required. April 9: A day-long street painting festival that turns downtown Knoxville sidewalks into a vast canvas for the region’s most talented professional and student artists. April 9 & 10: Produced along with Legacy Parks Foundation, experience the Dogwood trails the lean, green way – on a bicycle by way of an organized ride led by Tennessee Valley Bicycles. April 15: An invitation-only event kicking off the opening of the Dogwood Trails and Open Gardens. April 15-30: Explore more than 60 miles of trails, open gardens, camera sites, and historic homes as you enjoy a walk, bike, or drive. April 23 & 24: Select homes with distinguished and remarkable gardens open their grounds to the public for a short time only. April 23 & 24: Produced along with Legacy Parks Foundation, these interpretive hikes will highlight interesting facts, features, and flora about unique locations. April 29-May 1: Formerly known as Market Square Art Fair, several blocks of downtown Knoxville becomes a dynamic street festival encompassing high-quality visual, performing, culinary, and children’s arts. Open Dawn to Dusk: Focusing on the idea of stepping out into our community, the trails are at least one-mile in length and folks are encouraged to walk, run, or bike these trails.